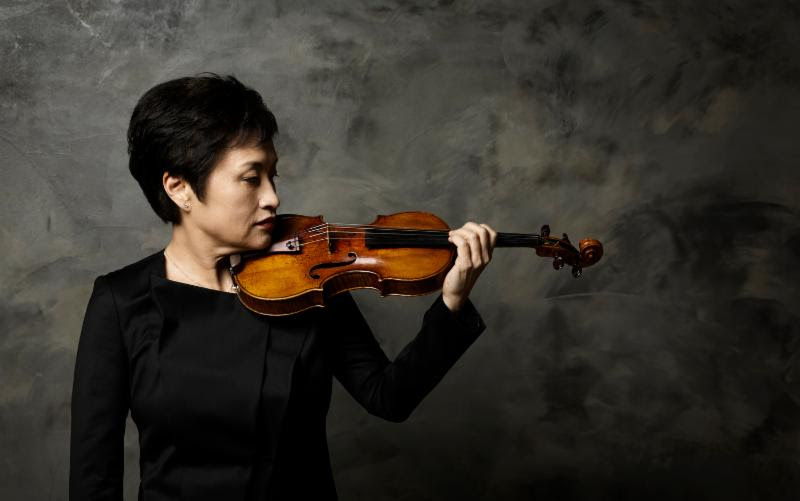 In a historic return to one of the world’s great concert stages, violinist Kyung Wha Chung will play the complete Sonatas and Partitas for Unaccompanied Violin by J.S. BACH in a single evening at Carnegie Hall on 18 May 2017. The date holds special significance for Ms. Chung, who made her New York debut at Carnegie Hall exactly 50 years ago, winning the Leventritt Competition. It is almost unheard of for a violinist to take on the traversal of Bach’s complete Solo Sonatas and Partitas in one concert. Not only is this the very first time in Carnegie Hall’s 125-year history that an artist has played the complete Solo Sonatas and Partitas in a single concert in Stern Auditorium, it also marks the 20th time Ms. Chung has accomplished this feat in a year. These works are generally recognized to be the Mount Everest of the violin repertoire, so daunting are their musical and technical demands. “I first started learning this music as a teenager under the guidance of my teacher, the great Ivan Galamian,” says Ms. Chung, “and I have returned to study them over and over again throughout my career, but I have waited until this moment to record and perform them.” Upon signing an exclusive recording contract with Warner Classics, Ms. Chung chose the Bach Solo Sonatas and Partitas as her first release, and the recording came out late last year (Warner Classics 557662) to enthusiastic critical acclaim. To accommodate the two intermissions required for the performance of the complete set, the May 18th concert at Carnegie Hall will start at 7:30 p.m. (Kyung Wha CHUNG @ Carnegie Hall). After making her sensational and critically acclaimed European debut in 1970 performing the Tchaikovsky Violin Concerto with André Previn and the London Symphony Orchestra at London’s Royal Festival Hall, Kyung Wha CHUNG subsequently became an exclusive recording artist with Decca/London. Her debut album – of the Tchaikovsky and Sibelius violin concertos with Maestro Previn and the LSO – brought her to international attention. Since then she has continued to perform with the world’s greatest orchestras and conductors, while enjoying years-long partnerships with the stellar musicians whom she has chosen as chamber music and recital colleagues. She has established a reputation as an artist of a rare and probing intellect, who marries absolute technical command, lyricism and sophistication to plumb the depths of the music’s architecture while allowing its most delicate intricacies to shine. In 2005, Ms. Chung suffered an aggravated tendon in her left hand which proved debilitating for years to come. During the years she was forced to give up performing, she concentrated on teaching, coaching and counseling, joining the faculty of her alma mater, The Juilliard School in New York. Ms. Chung is also Chair Professor for Music at Ewha University in Seoul, and an active patron for the Child Rescue Project in Africa as Charity Ambassador for A Better World. She is also, alongside her cellist sister Myung Wha CHUNG, Co-Artistic Director of the PyeongChang Music Festival and School in South Korea (PyeongChang). Fully recovered after years of work with a hand specialist in Korea, 2010 marked Ms. Chung’s triumphant return to the concert stage. Those in attendance at Ms.Chung’s Carnegie Hall concert on May 18th will thus have the rare opportunity to hear this great music as have few others. of recording sessions for Warner Classics, this time a recital disc with her pianist Kevin Kenner, in works of Beethoven, Brahms and Franck.